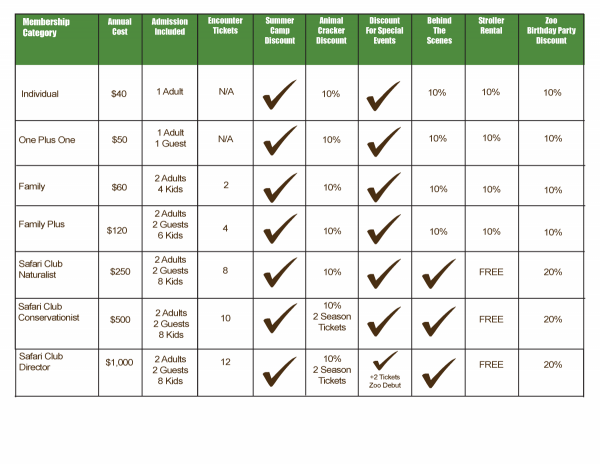 It's easy to become a Zoo member or renew your current membership! Simply select one of the following options and submit your order online. Once your order is processed, you will receive either a new member packet or a new membership card in the mail. If you are purchasing a membership as a gift, please specify who you are purchasing the membership for. A Nanny Pass can be added to any membership package for an additional $40.